Your dog can sometimes be unfriendly to your lawn. 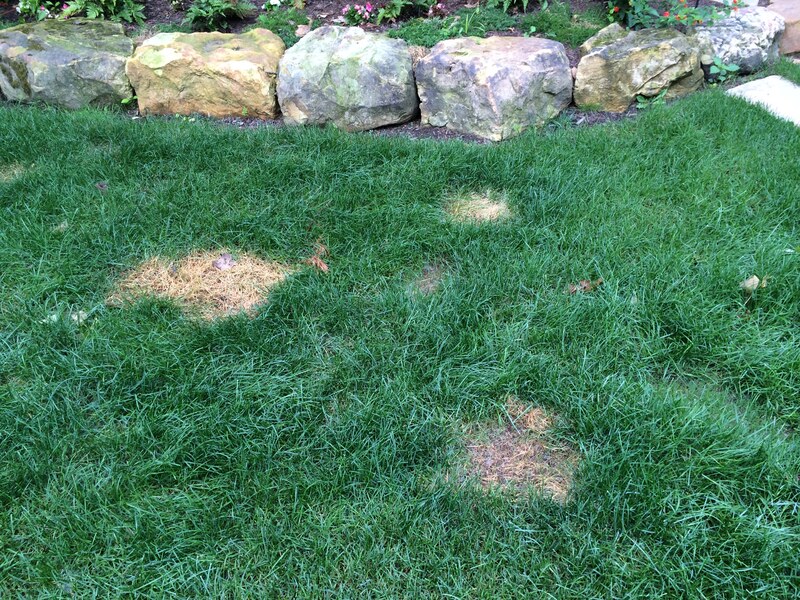 When your dog urinates on your lawn, the nitrogen in the urine can be so strong that it can and will burn a brown spot in your lawn. Rake the brown spot really hard, and aerate the area. Then top dress the area with 1/3 seed, soil & sand.